Our intellectual property attorneys strongly believe that avoiding liability in the first place is better than defending against liability claims later. Indeed, our intellectual property attorneys can take steps for you to avoid liability from the outset, which is a far less expensive and less disruptive approach. Provide you with patent validity opinions and IP enforceability opinions. Sometimes you are caught completely off-guard by claims that you are infringing another party´s intellectual property rights. When this happens, our intellectual property attorneys step in to aggressively defend your position and to resolve the matter on favorable terms. Our intellectual property law firm has successfully defended our clients against numerous claims of infringement. 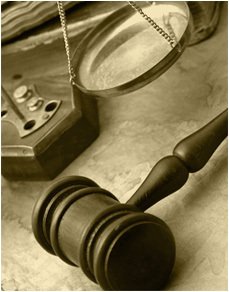 In many instances, our IP attorneys have secured settlements where our clients did not pay the other party any money.